Elegant and sophisticated, this statement pendant light looks beautiful in both modern and traditional homes. The Lexington 24 Pendant by Heathfield & Co features expertly crafted halogen capsules formed from delicate borosilicate glass. Available in two classic colourways, the assortment of plain and fluted finishes combine together in four mixed sizes. 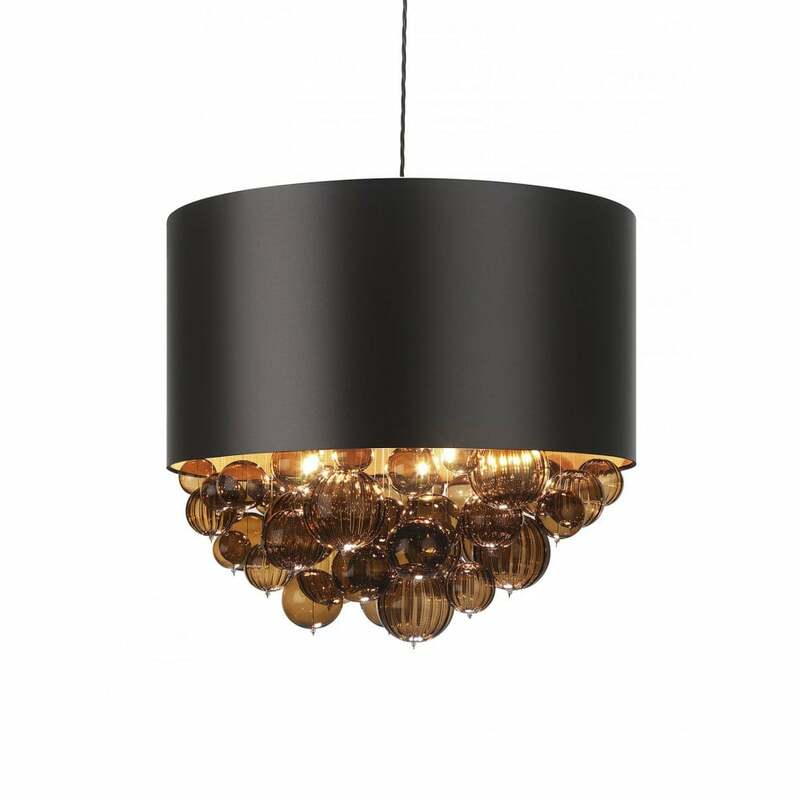 The Lexington pendant will create a striking focal point suspended over a dining table or hung in a hallway. Complemented by a premium, mocha satin shade, the contrasting gold pvc lining radiates light and ambience. Choose from a wide selection of luxurious fabric shade and colour options. Assembly and suspension of glass will be required. Make an enquiry for more information. Priced for 24" Lexington Drum shade in silk with white PVC lining. Please contact us for other options.